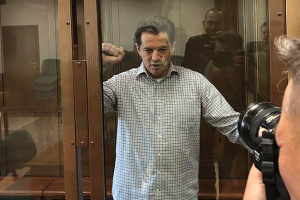 Ukrinform correspondent Roman Sushchenko, who was illegally arrested more than half a year ago in Russia, has thanked all Ukrainian and foreign journalists for their support and solidarity. 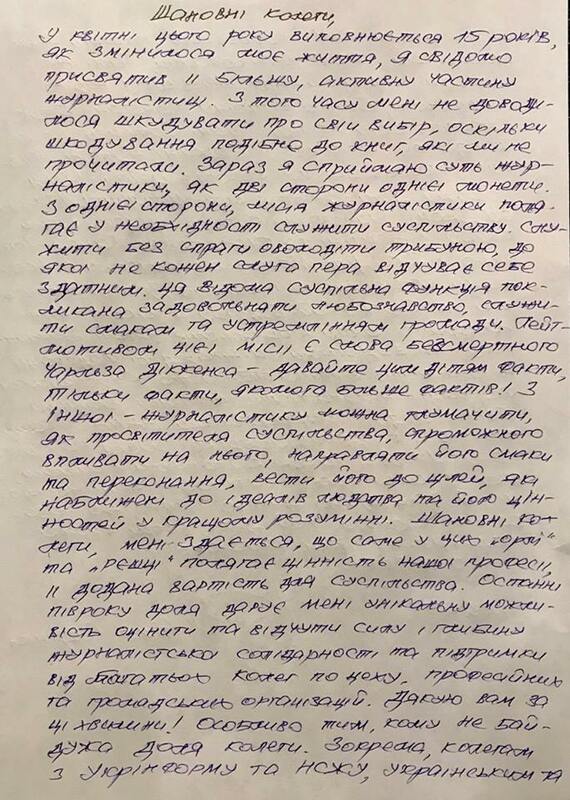 He wrote this in his letter from Moscow's Lefortovo prison. "During the last six months I’ve got a unique opportunity to assess and feel the strength and depth of journalistic solidarity and support of many colleagues, professional and public organizations. Thank you!" Roman stressed. 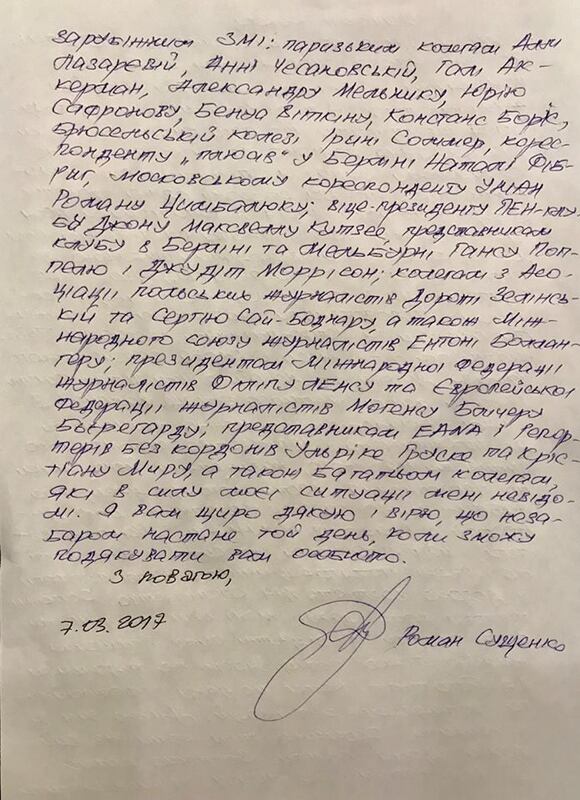 In addition to the Ukrinform team, he thanked his Paris and Brussels colleagues, 1+1 correspondent in Berlin, UNIAN correspondent in Moscow. 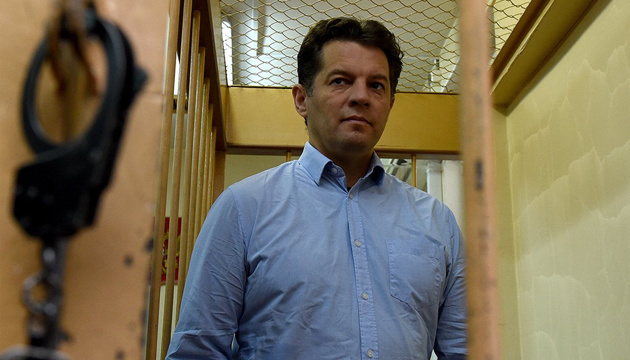 Sushchenko is also grateful for the support of the National Union of Journalists of Ukraine, the International and European Federation of Journalists, the European Alliance of News Agencies, the Association of Polish Journalists, Reporters without Borders, as well as representatives of the PEN club, including Vice President J.M. Coetzee, who wrote letters to him, and others.